Novec™ 1230 instantly vaporizes upon discharge, totally flooding protected spaces and absorbing heat better than water. The Novec™ 1230 system suppresses a fire before it can start by detecting it at invisible levels. And once the danger has passed, Novec™ 1230 quickly evaporates without harming any valuable assets. Novec™ 1230 suppression systems represent the most effective fire protection on the market today. 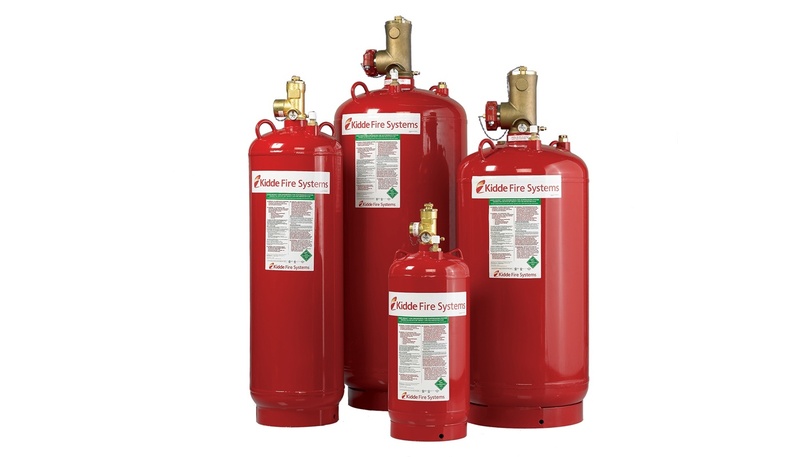 The Kidde ECS Series (Engineered Central Storage) is an engineered clean agent suppression system designed to protect mission critical facilities and high valued assets. Excellent protection for small, medium and large-sized applications. No water, so there is little to no damage to the equipment or the facility. he value of the facilities contents (such as a museum) or the importance of the facility to a company’s business continuity (such as a data center) requires a fire suppression system that can react in seconds. Water sprinkler systems are not available, or if present, may damage the contents of the facility to be protected or pose an electrical safety problem for fire fighters. An advanced fire suppression system developed to deliver cost-effective protection for larger enclosures requiring longer agent flow distances. Read More..
A proven, effective and reliable fire suppression option, excellent for small, medium and large applications. Read More..